Thursday's heat wave created a perfect storm for allergy sufferers. Smoke from the wine country wildfires left much of the Bay Area shrouded in haze. Walnut Creek allergists say they were flooded with patients Thursday because the smoky conditions have hit right at the peak of allergy season, creating a perfect storm for allergy and asthma sufferers. "Now we're having a fire season and having a lot of smoke and particulate matter in the air acting as an irritant," Dr. Joshua Jacobs with the Allergen Asthma Medical Group said. "So patients really get hit twice -- hit by allergies and hit by poor air quality." 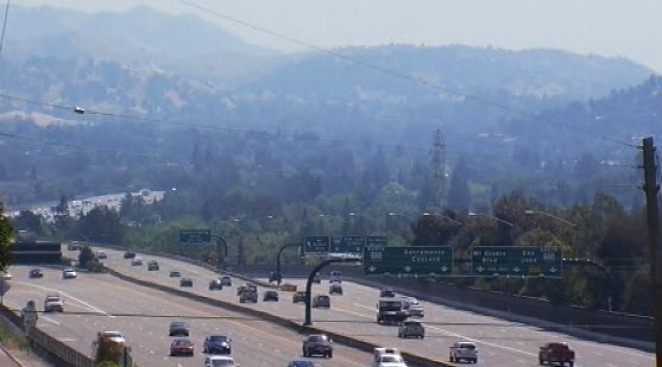 The conditions are so smoky, the Contra Costa Health Department issued an advisory late Thursday urging people to take precautions and consider staying indoors until the smoke clears. "I think it's reasonable for those who have underlying diseases – allergies, asthma – to limit their outdoor activity," Contra Costa County Health Officer Joe Barger said.